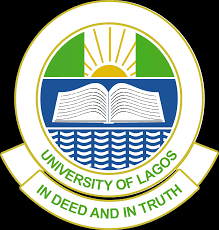 University of Lagos, UNILAG Internal and External Massive Job Vacancies and Recruitment Advertisement for Academic Positions for November, 2018. Applications are invited from suitably qualified applicants for various vacant academic positions in the University of Lagos, a tertiary institution of higher learning located in the West African sub-region. 6. Assistant Lecturer/ Assistant Librarian CONUASS 2 (N794,260.00 —N957.402.00) per annum. The Deputy Registrar (Human Resources Management Department), University of Lagos, Akoka, Yaba, Lagos. NB: Application from the range of Professorship to Lectureship I should include a bound copy of their publications to their application. The Deputy Registrar (Human Resources Management Department), Second Floor, Senate House, University of Lagos, Akoka indicating the post for which application is made at the top left corner of the envelope. Applicants are expected to visit recruitment.unilag.edu.ng to complete the online application and attach the acknowledgment print-out to the hard copy of their application.